Counting, measuring, quantifying, tracking: this is the new rhetoric put forward by the digital industry—a “symptom” of our technology-saturated society. The number of “connected objects” has already overtaken the number of humans on earth, with 25 billion connected objects for 6.5 billion individuals. These objects—which continue to increase exponentially—are capable of recording information on our physical activity and our health (think: sleep, heart rate, hydration and diet), and are the result of a nutritional movement born at the end of the 19th century: scientific eating. Originally a concept dreamed up by governments in an attempt to meet the nutritional needs of the working classes while simultaneously maximising their productivity, the study of food’s micronutrients and caloric content is gradually becoming democratized. And while we were once able to say “we are what we eat”, the subtle art of constantly measuring ourselves (the “quantified self”) in order to optimize our lives leads us towards a knowledge of self based exclusively on data. To define oneself in numbers is fine, but it’s important to ensure that the applications used are reliable. Technology, culture, and science website The Verge has some reservations about the trustworthiness of precisely those gadgets that aim at standardizing a science whose variables are still too complex to allow us to blindly trust their metrics. How does one keep track of one’s caloric intake and expenditure? There already exist more than enough gadgets that allow us to keep track of our physical data: nutritional scanners (TellSpec), activity trackers (Vessyl), smart clothing (SCiO), and connected flatware (like Baidu’s smart chopsticks) for low calorie kitchens. Could a tendency towards blind faith in regards to gadgets be the culprit? Not really, says The Verge, as there exists no rigorous scientific standard on the matter. As a result, the concept of scientific eating remains a complex subject. Flash, analyze... and then maybe you can eat! These variations in reported results happen to guide our daily dietary and fitness regimens. Barry Popkin, research professor at the Department of Nutrition at the UNC School of Medicine, is no stranger to this phenomenon. According to him, these variations can cause users to take unnecessary health risks. What’s more, these gadgets (like GoBe, which allows users to determine calories ingested and burned based on blood glucose levels) are at the centre of several debates on the viability of their tracking algorithms. Indeed, these algorithms are more often than not dubbed too generic to be taken seriously. 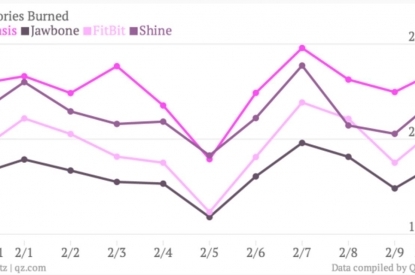 “The nutritional quantified self” : still too complex for our machines? Just possibly. 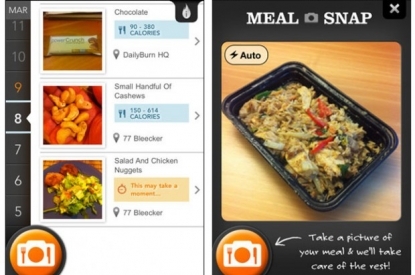 An example of this is Meal Snap, an application that uses image recognition technology in order to better inform users on the contents of their plates. Meal Snap allows users to have some nutritional accountability by giving a calorie count based on only a photo of a meal, but the results show significant discrepancies. TechCrunch, who tested the algorithm, reminded users that image recognition technology still isn’t accurate enough to identify all of a meal’s components (think: hidden fats). And even though the start-up uses Mechanical Turk to complete the results that Meal Snap alone can’t assess, there are still other issues to consider, like digestion. These endless variations invite us to view technological gadgets not as an end in themselves but rather as a set of tools to assist proper medical accompaniment. It’s worth noting, meanwhile, that research is making rapid strides to correct these defects. An example includes miniaturised molecular sensors which use spectroscopy to analyse food’s chemical chemical makeup (Airo Health). But here, too, doubts inevitably arise. To be continued in the next SIAL publication.